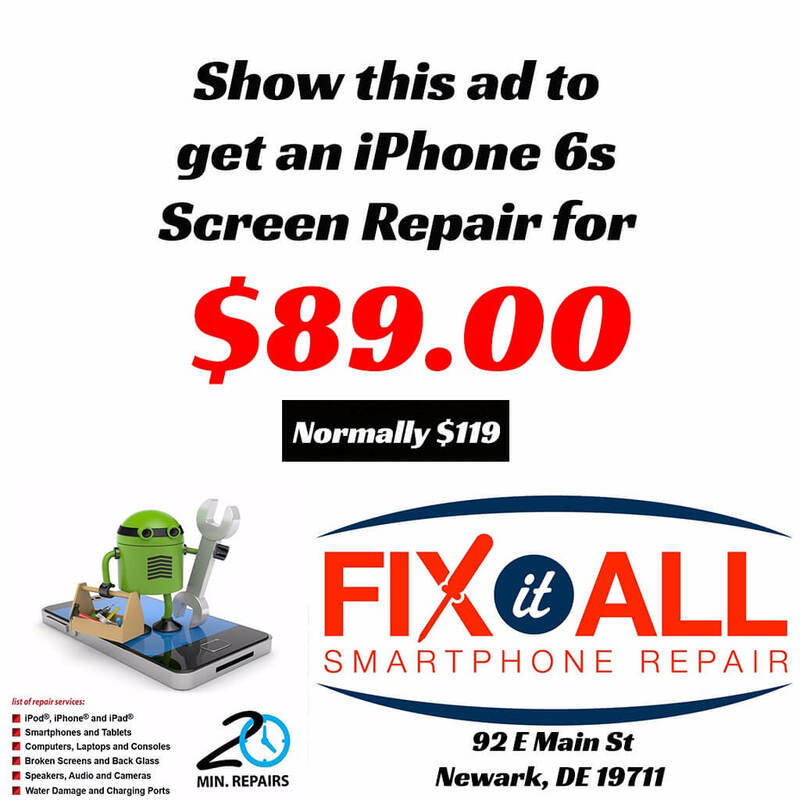 Fix It All Smartphone RepairNews & PromotionsUncategorizedFix It All Thursdays is back! Fix It All Thursdays is back! A big shout out to all our iPhone 6s users in Newark, DE! Fix It All Thursdays is back and ready to offer an exclusive deal for everyone with an iPhone 6s, don’t miss out and redeem while you can! As usual, stay posted on our Twitter and Facebook for more news and promotions such as this!